Let’s make your paper shine! Let our professionals help you with your capstone project! 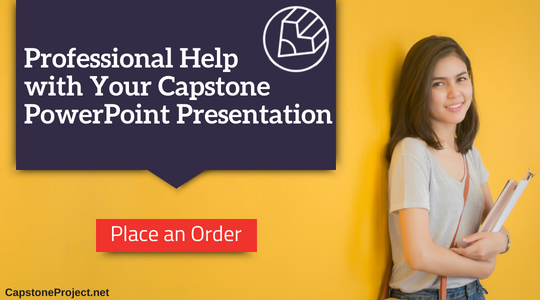 Do You Need Capstone Presentation Help? Writing your capstone paper is far from the end of what you will have to do. You will have to create and present your capstone PowerPoint presentation also. This will need to be able to show off all aspects of your capstone paper to a high standard to impress your audience. Many students, however, will want to seek out capstone help through our services as presenting your research well is very different to simply writing a paper. Many will struggle to create a capstone PPT presentation of a standard that is going to be sufficient to make the impact that you will be required to have on those viewing. But if your presentation goes badly and you are unable to answer some of the questions that are thrown at you, your final grades could be significantly reduced. Our professional services have been supporting students from all around the world for several years and we are able to offer you all of the support that you will need to make your presentation stand out. From an effective capstone presentation example and writing advice to support with your writing we always provide the best. Title slide: this must provide the title of your research as well as your name and the program details. Introduction: this slide should quickly introduce the background to the project and its significance. Research questions: what was it that you set out to do through your research? Motivation: explain why your research was so important to do. Outline: tell them what it is that you will tell them. Methods: explain how you went about doing your research and the techniques you used. Outcomes: highlight the key results of your research. Do not try to cover everything. Discussion: explain what these findings mean and how they relate to your original objectives. Detail any limitations and what steps should be considered next. Knowing how to put that impressive capstone PPT presentation together is not easy. It is not simply a matter of copying in sections of your final paper or only explaining your capstone project outline. You will have to cover every aspect of your research paper in a way that is going to show your audience that your findings are robust and that what you have done is important. Take a look at capstone presentation examples to see how others do it. Our samples will show you the style that you should apply and the level of content that should be there. Understand their expectations: most will expect a presentation length of around 20 minutes which in most cases should mean around 15 slides. Use a clear easy to read template: you don’t want to distract them from what you have to say by providing a fancy template with excessive decoration, fonts, or colors. Keep font sizes constant between slides: bullets and text should be in around 28pt size so that they are easy to read. Don’t use script fonts: use only fonts that are easy to read and use just one or two fonts throughout the presentation. Only have around 5 lines of text on any slide: use bullets and “sound bites” rather than trying to write full sentences. Keep titles on each slide short and concise: long titles are simply too much to read. Make use of images and other media: do not however simply throw in tired clip art that everyone has seen. Make tables easy to read: don’t try to present too much information on the table and keep the format of the tables consistent and easy to read between slides. Use graphics: ensure that they are easy to read and understand and that you use the same style for all that you use. Cite your sources: if you are going to quote or otherwise mention information within your presentation give clear credit to the source. Never simply read from your slides: keep clear easy to follow speakers notes, however, these should be bullets and prompts rather than a speech you will recite. Time your presentation so that you know exactly how long it is going to take: don’t assume that you can say everything in the allotted time if you have not actually tried it. Talk in a steady manner and pace what you have to say: however do not lapse into a slow monotone, you need to keep the attention of the listeners. Practice: give yourself the opportunity to present to family, friends, and peers so that you will gain confidence in what you will do. 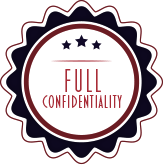 Video yourself: this will help you to see any annoying mannerisms and other issues that you may want to eliminate prior to giving your presentation. Have handouts prepared: make sure that you come prepared with everything that will be required by your audience. Instead of simply presenting your findings with your PowerPoint or reading what you have in your paper show them what you have. Actually, replicate part of your experiment (if safe!) or have a 3D model that you can use to show them what is going on rather than simply telling them. A presentation does not simply have to be words repeated out to your audience. Play a game and involve the audience in it to demonstrate your findings or what you have done within your research. If you have come up with a new way of teaching something don’t simply tell them. Why not show them a video of your ideas in action so that they can see for themselves how things work and how effective they are. Make them think, how about presenting your ideas as a cartoon with a clear storyline so that you can draw them along through your research to draw the same conclusions as you from what you have done. Provide them with something other than the traditional handouts. Try a training manual or formal business proposal to sell them on the ideas that you are presenting. Alternatively, your own version of Dilbert will certainly get their attention. Don’t simply tell them what you have done, show them. Use animations and actual working models to give the audience a real idea of how your research has ended up. This is an area in which you are almost begged to show them what you have done. Either bring samples of your work or present an effective slideshow to showcase your work. Demonstrate your findings through a management dashboard and show how you have met all of your targets and deadlines. Alternatively, use some video clips to break up your presentation showing what was actually done. A full-blown multimedia presentation can be used to demonstrate your outcomes. However don’t go too far or the audience will be looking too much at the effects rather than what you are trying to communicate. 3D models and eye-catching graphics can help you to ensure that what you have to say will be clear to those listening to your presentation. What Presentation Software Should You Use? Our DNP capstone project PowerPoint presentation examples use this software because it is easy and widely available. However, you do not have to stick to only using PowerPoint. However, you do need to take care of your choices so that you avoid any issues when it comes time to give your presentation. Software that may only be available online, for instance, will not work if the room you have to use does not have access to the internet. If you are using a software package that is not on the computer that you will present from you will also have a major issue. PowerPoint: most users of windows will have access to PowerPoint for making their presentation. Most schools and colleges will also have access and you will often be taught how to use this software. Keynote for Mac: for those that are looking for the more impressive presentation abilities that an Apple can provide this is the software package of choice. Prezi: this online software package provides you with many features that you will not find in other packages giving you many more options for creating an attention-grabbing presentation. 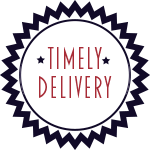 How Can Our Capstone Services Support You? We offer an end to end service that can help you with everything from selecting your DNP capstone project ideas through to crafting that outstanding capstone PowerPoint presentation. Our experts will be working only on the subjects that they hold higher degrees within and they have superior skills with the software package that you need your presentation writing in. They work directly with you to fully understand just what you are looking for and use their knowledge of capstone presentations to ensure that yours will be exactly what is required. All work is totally unique and carefully proofread so that you can be sure that it is free from any issues. 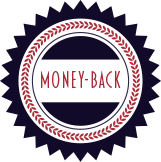 All of our help comes with a full satisfaction money back guarantee so you can be assured that you will always get the best support possible. 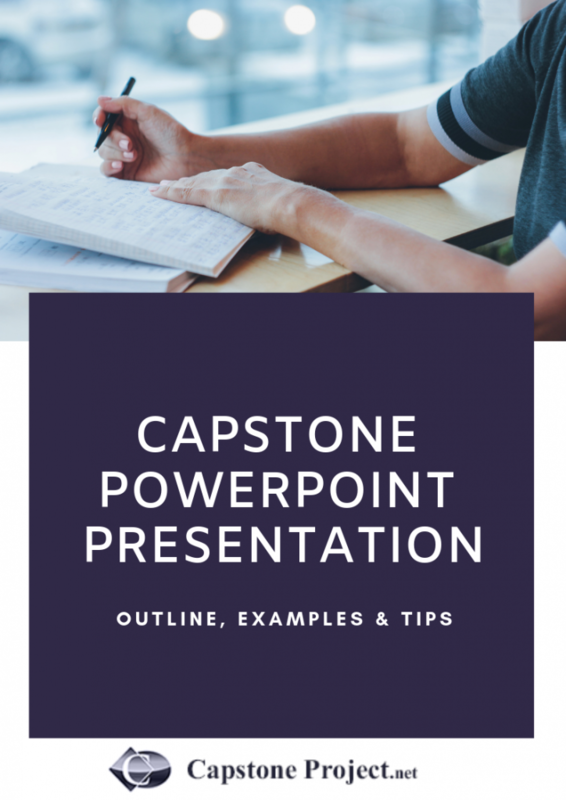 Don’t struggle with your capstone PowerPoint presentation, get in touch with our experts here today and ensure that yours is completed perfectly.